It's such a glamorous life! fancy finery at its best! "arm away" pink pin cushion. attic...a month too late to list? 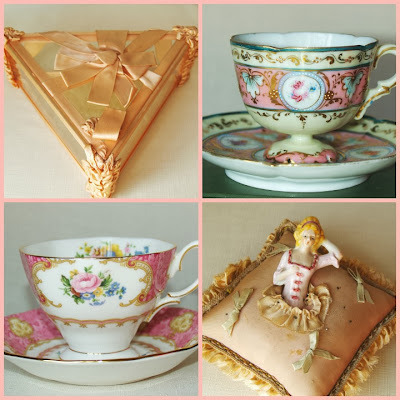 I am doing the same thing with new finds....cleaning, researching, snapping pictures and listing! 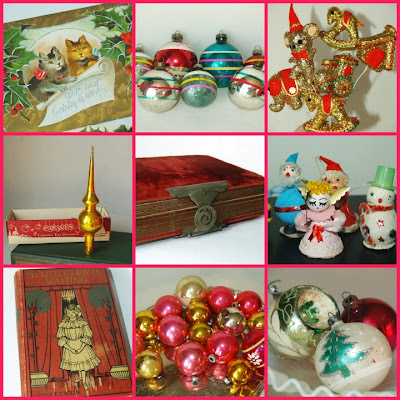 I was wondering about listing some Christmas now or waiting till the Fall....my daughter gave me back a couple vintage ornaments (she didn't take after my love of vintage!) and I want to list them. Hey, if you're gonna do it, so am I! Your dainty pretties are wonderful!